The LG Rolly is designed to have a combination of the compactness of rollup portable keyboards with the solidity of folding ones. Portable keyboards for mobile devices tend to come in either rigid and foldable or rubbery and rollup forms. LG Electronics is launching one that's a bit of both. The Rolly rolls up into a long rectangular stick that can travel in your bag or pocket. Made of polycarbonate and ABS plastic, it combines the solidity of folding keyboards with the compactness of silicone ones that roll up. The Rolly rolls up along four key rows. 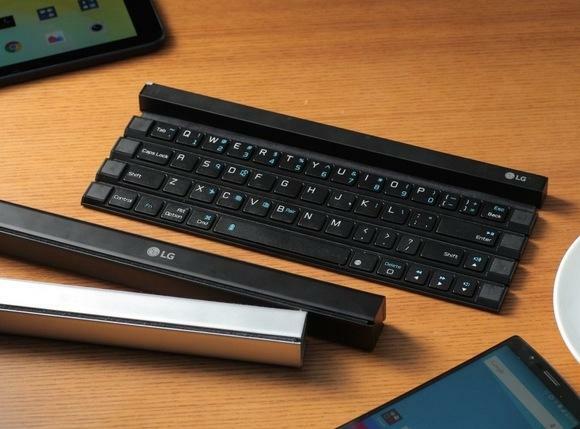 LG said it's the first solid, rollable, wireless keyboard of its kind. While it lacks a dedicated row for number keys, LG calls the Rolly a "full size" keyboard, saying that at 17 millimeters, the key pitch is almost as large as that of most desktop keyboards. Key pitch is the distance between the center of keys. Two fold-out arms in the Rolly can support smartphones as well as tablets with screens of up to 10 inches. 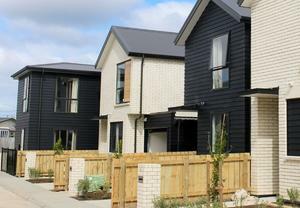 It can pair with two devices at the same time via Bluetooth 3.0, and users can toggle between each by pressing a key. The device will pair automatically when it's unrolled. A single AAA battery can power it for about three months on an average. The Rolly will be exhibited at IFA 2015, which kicks off next week in Berlin, and will be launched in the U.S. in September, followed by markets in Europe, Latin America and Asia in the fourth quarter. LG has not announced a price yet. Mobile keyboards such as Microsoft's Universal Foldable Mobile Keyboard have been touted as a solution for users who don't enjoy typing on the touchscreens of smartphones and tablets. But they're gaining more attention amid efforts such as Microsoft Continuum and Apple Continuity, which aim for a seamless integration of various mobile devices and accessories.